At The Baby Sleep Site®, our #1 goal is to help you “find your child’s sleep” in a way that matches your parenting goals and philosophy. For some families, that means utilizing our personalized consulting services or joining our Members Area. For others, it means purchasing one of our e-book packages and working on a self-guided plan of sleep coaching. If that sounds like you, we’ve got you covered! Our e-books are designed to walk you through everything from the basics of newborn sleep, to helping your baby achieve longer and more predictable naps, to getting your baby to sleep through the night, to helping your toddler navigate common “big kid” sleep challenges. Take a look below and select the book that looks best for your situation. And don’t forget that we also offer a comprehensive system personalized consulting for those families who want expert guidance through every step of the sleep coaching process. We also host a large online Members Area that provides members with access to a huge library of sleep coaching resources. Having a newborn can be overwhelming. We understand! That’s why we created Essential Keys to Your Newborn’s Sleep. In it, we give you a complete toolkit of tips, advice, and sample schedules to help your baby establish healthy sleep habits today and throughout the first year. In this book, we reveal how to communicate with your baby, how to minimize colicky crying, how to customize sleep and feeding routines to lay the groundwork for a healthy sleep schedule, how to help your newborn gradually learn to fall asleep quickly and sleep soundly, and more. Learn about your newborn’s sleep today so you can really enjoy this special time! This is by far our most popular e-Book! The 3-Step System to Help Your Baby Sleep covers the primary reasons babies wake up at night (besides feedings or diaper changes) and why your baby may not be able to stay asleep. It also lays out a step-by-step approach for helping your baby learn to fall asleep without the use of sleep associations and to fall back to sleep after each night waking (which paves the way for sleeping through the night!). 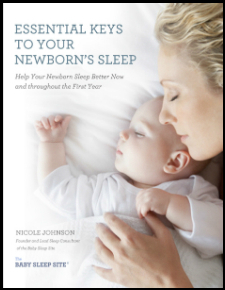 Additionally, this e-Book will walk you through night feeding and night weaning strategies, as well as scheduling tips designed to help your baby nap better and more consistently (which in turn leads to better nighttime sleep). 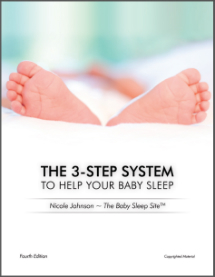 If you purchase The 3-Step System to Help Your Baby Sleep as part of an e-book bundle, you’ll also receive a variety of bonus materials, including tele-seminars, real-life case studies of families who’ve been through the sleep coaching process, and printable materials. There’s even an option to receive a customized Express Sleep Plan® as part of your book package. In a sea of baby sleep books, Baby S.T.E.P.S. to Better Sleep stands apart as the first resource to put parents in the driver’s seat. 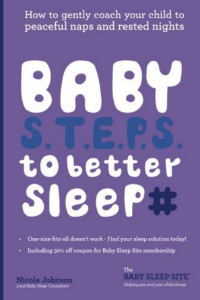 Other sleep books adopt a “my way or the highway” approach to sleep coaching, but not Baby S.T.E.P.S. to Better Sleep; this resource empowers parents with the tools and knowledge they need to gently coach their children to better nights and rested naps, in a way that fits their goals and parenting styles.The book outlines a step-by-step approach to help parents create their own sleep coaching plans; it also includes a number of helpful reference charts, including bedtimes and nap times, overall sleep needs by age, and sample daily sleep and feeding schedules. And it’s all penned by Nicole Johnson herself, an expert sleep consultant whose down-to-earth and caring tone will help exhausted parents everywhere feel like they have an ally and a friend to help them through their sleep struggles. Toddlerhood is a whole new ballgame; unfortunately, it also comes with a whole new set of sleep challenges! 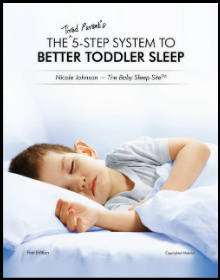 That’s where our specially-focused toddler e-book, The 5-Step System to Better Toddler Sleep, comes in handy. This e-book lays out a step-by-step approach to help you deal with common toddler sleep problems, including nap transitions, moving from crib to bed, dealing with “jack-in-the-box” bedtime behavior and bedtime stalling/resistance, sudden onsets of night waking, night weaning, and more. 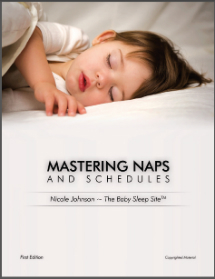 As with your other e-books, you have the option to purchase The 5-Step System to Better Toddler Sleep as part of an e-book bundle; included in the bundle are a variety of bonus case studies, tele-seminars, and printable materials, as well as a customized Express Sleep Plan® designed to walk you through the toddler sleep coaching process.